The complete Steven Universe Episode List for season 1. This is a animated series based in adventure, in fact it was created by the creator of Adventure Time Rebecca Sugar. As I write this 2 seasons have been released with a 3rd season coming very soon. The Story line is about, Steven Universe who is a 13 y/o boy who is the youngest member of a group called Crystal Gems. They have been protecting Earth from various pests. Gems, Garnet, Amethyst, and Pearl help him grow his powers. He is part Gem, part human. His dad Greg is Human and his late mom was a Gem who passed her gem to Steven. Overall the show is for kids 10 and up, there is a small amount of crudity that my 11 yo thinks is hilarious, and some sexual references that currently…mostly go over his head. Gem Glow: Think favorite ice cream sandwiches. Steven thinks they are the trick to summoning and activating his magical shield, only guess what, they aren’t! Laser Light Cannon: Who do you turn to when your mom’s (Rose Quartz), stolen light Cannon is about to hit Beach City? You turn to Greg, Steven’s dad. Cheeseburger Backpack: Steven tries to prove that he is useful with the help of his new cheeseburger backpack. Frybo: What happens when Steven’s newly brought to life mascot goes rouge? In his defense he was only trying to help Peedee, his friend. Cat Fingers: What happens when you accidentally turn your fingers into cats? Watch and see Steven’s shape shift attempt! Bubble Buddies: Steven to the rescue!! He creates a bubble to save himself and a girl named Connie, only now he cant make the bubble disappear. Serious Steven: Steven wants to prove himself to Garnet by being serious, instead of goofing. Tiger Millionaire: Amethyst and Steven join a wrestling league. Why are Garnet and Pearl always trying to bring down Amethyst? Steven’s Lion: While Steven is doing a mission with the Gems, he finds a new friend, a magical lion. Arcade Mania: Steven takes the Gems to a local arcade. Garnet becomes obsessed with a dancing game. 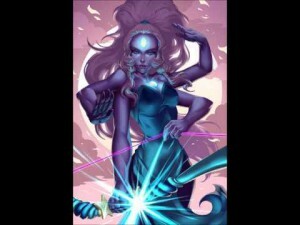 Giant Woman: Steven Discovers that Amethyst and Pearl can fuse to become Opal. Steven looks for every opportunity to encourage them to become Giant Woman. So Many Birthdays: How old are the Gems? Let the birthdays begin. Lars and the Cool Kids: Cool kids let Steven and Lars get to hang with them, you can bet trouble is just around the corner. 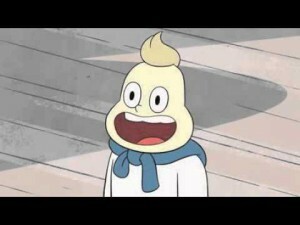 Onion Trade: Steven loses his valuable action figure, and starts some crazy trading with Onion. Steven the Sword Fighter: Pearl decided to help Steven to learn sword fighting, she ends up injured. Lion 2 The Movie: Hey Steven, don’t try to ride the lion to the movies. Beach Party: The Gems get banned from Fish Stew Pizza. Steven throws together a cookout, Beachside to make everyone happy. Rose’s Room: Steven spends some time alone and gets access to a room that grants his wishes. 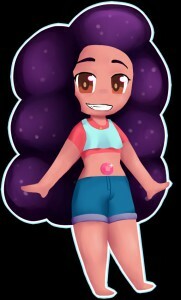 Coach Steven: Garnet and Amethyst can fuse to create Sugilite. Steven wants to get stronger, but Pearl doesn’t approve. Joking Victim: Sadie gets stuck with all the work when Lars leaves, Steven helps out at the Big Donut. Monster Buddies: A monster is accidentally released from its Gem. Steven tries to tame it. An Indirect Kiss: Some how Amethyst cracks her gemstone, Steven and Connie want to help heal her. 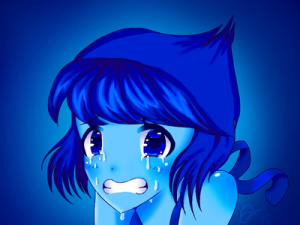 Mirror Gem: A trapped Gem, Lapis Lazuli is set free from a magical mirror that only talks with Steven. Ocean Gem: What happens when the ocean gets taken away on the first day of summer? House Guest: Greg was injured and left homeless after confronting Lapis Lazuli. He moves in with Steven. Space Race: Pearl wants a spaceship, Steven and Greg help out. Secret Team: Steven, Amethyst and Pearl form a team to capture gem shards after the accidentally pop a gem bubble. Its all very secretive. Island Adventure: Steven wants Lars and Sadie to be friends again so takes them on a magical vacation. Keep Beach City Weird: Ronaldo has quite a few conspiracy theories. Steven buys in. Fusion Cuisine: Steven is going to Connie’s Family dinner, he wants the Gems to pretend to be his mother. Garnet’s Universe: Steven’s imagination runs wild when he considers Garnets recent mission. Watermelon Steven: What happens when a bunch of Watermelons shaped like Steven come to life? Lion Three, Straight to Video: What does Lion have in his mane? Steven finds out when Lion keeps trying to sleep on his face! Warp Tour: Steven is all paranoid about an object he sees in the warp stream. The Gems try to reassure him. The Test: Remember episode 3? The Lunar Sea spire mission was a test.. Steven wants a new one. Future Vision: When Steven finds out that Garnet can see the future, he gets all worried about the possibility of danger. On The Run: The Gems have a dark secret! Amethyst tells Steven about it. Horror Club: Scary Movie time for Steven. Winter Forecast: A Blizzard is on its way!! Garnet reveals some future outcomes. Maximum Capacity: Amethyst and Greg clean out Greg’s storage. Marble Madness: What are the droids up to? Steven and The Gems investigate. Rose’s Scabbard: Lion finds Rose’s missing scabbard, Steven is taken to a special place by Pearl. Open Book: Steven takes Connie to Rose Quartz’s room to remake the ending of a book series Connie just finished reading. Shirt Club: T-shirts are made. Story For Steven: Steven hears the story of how Greg and Rose met. The Message: Wailing wall has a message for Steven and the Gems. Political Power: Steven assists the mayor with a power outage caused by the Gems. The Return: Beach City is newly threatened. Jail Break: There is a new ally for Steven to team up with to rescue the Gems. If you find any inaccuracies just leave a comment below and Ill fix it up. Also feel free to make whatever comments you like below! Cool way to promote series. Cool and elegant. Just have to say that I couldn’t see some of the images. Could be my computer. Not sure. You might want to check it out. Glad you like it. 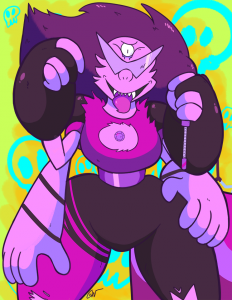 Are you a fan of Steven Universe? I see what you mean about some of the images… Ill have to figure that out, not sure why they arent showing up correctly. All fixed now, thanks for catching that!